By now the story of the origin of Posttraumatic Stress Disorder [PTSD] is fairly well known: the diagnosis was the surprising outcome of an unusual set of political circumstances during the 1970s in the USA. At that time, a somewhat unlikely coalition was formed between psychiatrists treating disgruntled Vietnam veterans, advocates for Holocaust survivors, and representatives of the feminist movement demanding public attention for the long-lasting psychological effect of physical and sexual abuse of women. All three groups had observed similar sets of symptoms in the traumatized individuals under treatment. And in all three groups symptoms at times appeared many years after the original event. For all three groups, the PTSD diagnosis provided a medical recognition of their suffering, opened up avenues for treatment, and presented a justification for compensation claims. Accounts on the origins of PTSD generally emphasize the originality and novelty of the diagnosis. The book under review dispels this notion thoroughly: unusually rich and extensive medical and political debates on the sequelae of extraordinary suffering of World War II took place in many European countries after 1945. Physicians who themselves had experienced deportation and life in Nazi concentration camps played a key role in these debates. In all European countries, the public recognition of these horrifying experiences depended on a variety of social, political, cultural, and medical factors, which all changed over time. 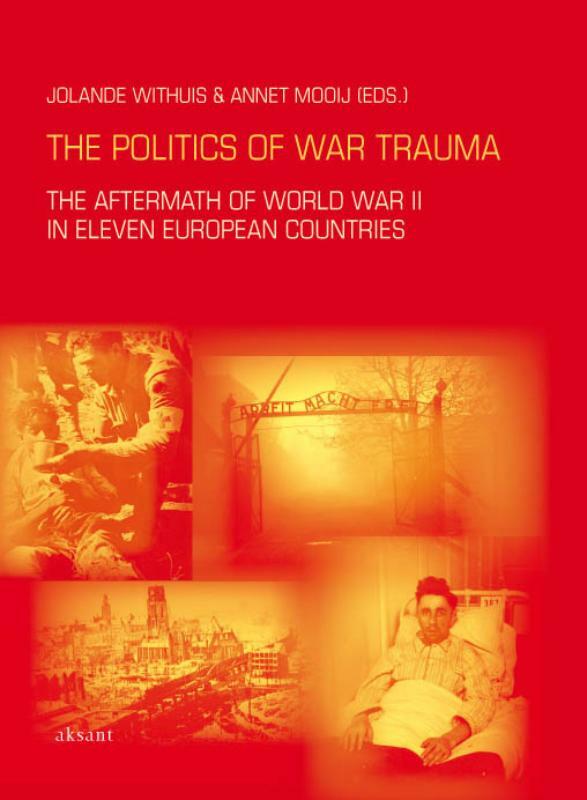 The essays in The Politics of War Trauma analyze the unlikely political coalitions that made the recognition of war-related suffering possible, which groups were included and which were excluded, and how changes in medical, social, cultural, and political thinking influenced this process. Central to the formation of medical theories on the health effects of war as well as their social recognition (in the form of pensions, entitlement to compensation, or health care) were the way European nations came to terms with World War II. Politicians, religious leaders, and other opinion makers were engaged in extensive efforts to frame the memory of the war in ways that positioned themselves (and their nations) favorably and that downplayed culpability, guilt, and collaboration. The collective memory of any war is inherently fraught with myths about widespread and heroic resistance and martyrdom at its core (rather than banal collaboration and innocently looking the other way, which was much more common). These myths consist of more or less deliberate acts of forgetting, falsification, obfuscation, fabrication, and confabulation. In many countries, the ranks of the Resistance swelled enormously immediately after the armistice. At the same time government bureaucracies and the armed forces were symbolically purged of a small number of collaborators (while most others remained in their position). Presenting a favorable image of one’s past during the war was particularly necessary for those European countries which sought to hide their official allegiance to Nazi Germany and many acts of collaboration (Austria, Italy, Vichy France, Denmark, and Spain (which is unfortunately missing in this volume)). Austria, as the alleged first victim of Nazi aggression, has always denied any responsibility for its complicity in Nazi atrocities. It referred claims from Austrian survivors of concentration camps to Germany while it paid pensions to all Austrians who had served in the German Wehrmacht or SS Korps. Denmark celebrated a very small and select group of resistance fighters to deflect attention from its less than admirable war record (it surrendered without a fight and its government accommodated the Germans without too much friction). Luxembourg made much of the “pupils of the nation,” a group of orphaned children of killed resistance fighters. Questions of which individuals were entitled to compensation or war pensions (for suffering, lost income, incapacity, or health problems) were resolved within the context of these sets of narratives to remember the war, commemorate its heroes, and vilify the villains. According to many, resistance fighters and soldiers who resisted the invading Nazi powers deserved recognition. Yet many post-war regimes were loath to acknowledge the contribution of communist resistance fighters and were not eager to include them as potential recipients of pensions. In France, for example, an influential bureaucrat was proud that he personally had made sure that 75% of applications by Communists were rejected (p. 89). In Belgium, Flemish Catholics (who had not been unsympathetic to the Nazis) were upset that the proposed pension legislation would benefit more Walloon then Flemish individuals (because there had been far more Walloon resistance fighters) and insisted on emendations. In West Germany, communist resistance fighters were written out of the historical record and hardly received any recognition and compensation. In East Germany, the opposite happened: only those individuals who had furthered the international interests of the Soviet Union were honored. All the others had to wait until after the wall came down. Questions remained about individuals who were conscripted to work in German ammunitions factories. They were forced to become collaborators and did not fit the image of heroic resistance fighters. Recognition for them was slow in the coming. During the first two decades after World War II, Jews returning from the concentration camps found it very difficult to get any claims acknowledged (the few who survived the extermination camps felt positively unwelcome upon their return). Before World War II, many Jews did not have the nationality of the country they were living in—which initially excluded them from any consideration for compensation. Veterans’ organizations and other pressure groups were essential in formulating the terms under which recognition for the traumas of war could be gained—conscripted workers had to form their own associations to make their demands known before they were recognized. Until 1965, most countries emphasized the resistance when remembering the war. More recently, the Holocaust and the fate of European Jews has become central to the recollection of the war. That shift had far-reaching consequences for bureaucratic recognition and compensation regimes. It is one thing for post-war governments to outline who is entitled to compensation and pensions and what conditions have to be met to receive these. It is quite another thing how these rules were interpreted and applied by faceless bureaucrats. And here some striking events occurred. A Jewish Auschwitz survivor, for example, was repeatedly asked by Italian bureaucrats for the medical records during her time there to substantiate that her current incapacity was related to her war-time experiences. I already mentioned the pride of a French bureaucrat in making sure Communists would not receive any compensation. In Germany and Austria, former Nazi physicians often wrote dismissive medical reports of Jewish concentration camp inmates. Laws formulated with the best intentions meant little in the face of bureaucratic obstructionism, which was the exception rather than the rule. Summarizing the many points that are richly documented in this volume: the cleansing (or whitewashing) of national reputations, the activities of various pressure groups, and the evolving state of medical knowledge contributed to the recognition of war as trauma which constituted grounds for recognition, support, and compensation. European physicians had already formulated the diagnosis the KZ-syndrome (KZ refers to Konzentrationslager, German for concentration camp). When PTSD arrived in 1980, it became yet another element in these discussions without fundamentally altering them. These discussions accelerated in the 1970s. At that time, historical perspectives on the war years became considerably more nuanced while the number of individuals claiming war-related impairments did not diminish, as had been widely expected, but only increased. In the same decade, attention to the fate of the European Jews increased. No longer were the heroic fighters of the underground resistance central to the recollection of the war but the horrifying images of the extermination camps. It appears that a greater acceptance of a psychological approach to life problems, accompanied by a greater acceptance of the public expression of emotions, was a factor in the increase in the number of people who claimed to suffer from war-related trauma. In addition, it seems that the waning of the Cold War and the lesser relevance of a number of national myths about heroes and villains during the war were important factors as well. Interestingly, the distinction between organic versus psychological disorder, so central in many histories of psychiatry and in psychiatric discussions today, appears to be more or less irrelevant in the medical discussions covered in this book. Critical instead was the issue of causality: could one prove that one’s current level of incapacity was related one’s war-time experiences. This issue became more difficult to assess as the years passed by. Yet, in some countries and for some categories of individuals (those who spent more than 6 months in prison or concentration camps, for example), this causality was assumed; in other countries the burden of proof was with the compensation authorities (that is, only if they could prove that reasonable grounds existed that an applicant’s current condition was not related to the war could compensation be refused). Whether complaints or incapacity were purely psychological or based on physical injury was hardly important. This makes the approach originally espoused by the editors of the volume (to trace the history of the recognition of psychiatric complaints related to World War II) somewhat irrelevant—but it, correctly in my opinion, broadens that question to include a variety of unexplained medical symptoms related to war experiences. Journée d’étude – L’expertise psychiatrique, une source pour les sciences sociales ?